Riko is a tablet-based game that helps children (ages 5-8) practice proper recycling with real-world objects . The central feature of the game is a virtual pet that interacts with kids to teach them whether objects in their environment are recyclable or not. When curious kids start to learn everyday objects in their home space, they can just scan the objects on Riko and learn new vocabularies from their virtual pets who only eat recyclable objects. Kids might scan a coke can that their parents left and learn that it is an "aluminum can" - more importantly, it's recyclable! By dragging the can to their pet, kids gain experience in the game and satisfy their pet. When kids scan an unrecyclable item, say a banana peel, the system indicates that its recyclability and their virtual pet conveys a negative emotion. If the kid drags the unrecyclable item to their pet, the pet appears unhappy with a decrease in emotion bar. Riko ensures kids relate what they learn in the app back to the real world. Kids interact with real objects from a virtual space using image recognition technology and influence their parents’ recycle habits in the home space. We started by thinking about cities. 1. Improper waste sorting impacts the city environment and the economy in myriad ways. 2. Households are top contributors of waste and are the worst at reducing it. In a home space, the behavior of recycling involves a complex mix of human relationships and technical aspects. We need to observe how various users recycle, learn the current pattern of recycling, and locate a specific population we can effectively impact as designers. Do we want to target a standard family with kids and parents, a student dorm with similar age groups, single living youths, or someone else? Since the presence of an observer would alter people's recycling behavior at residential spaces, we decided to observe various people's recycling behavior in the public space without demonstrating our presence. In this experiment, we wanted to test how people’s behaviors would change knowing that they were being monitored by some authority. 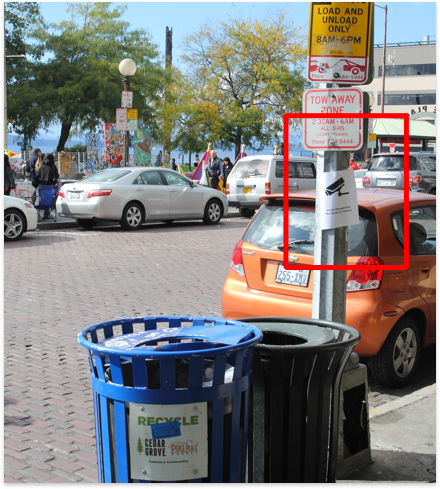 To do this, we placed a sign above a group of waste bins marked ‘Waste Management Monitored By Camera’. In this experiment, we wanted to test whether people would reconsider their waste disposal behavior by creating a feedback sound. 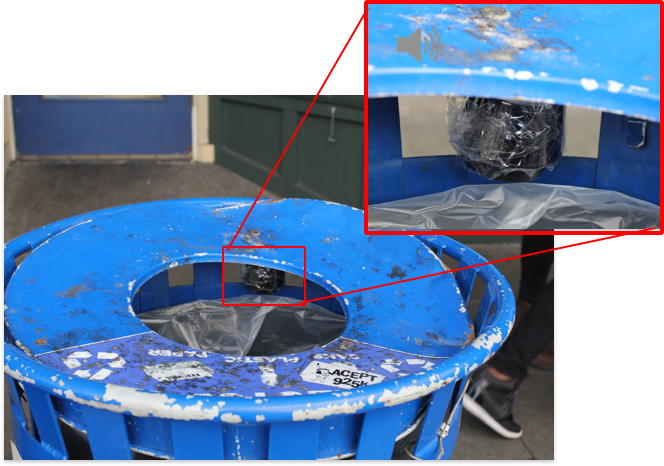 We taped a bluetooth speaker inside a recycling bin and played a short burst of an alarming sound every time someone threw waste away. 2. Audio feedback did not incentivize people to rethink about their waste habits after the fact. People rarely acknowledged that a sound was even played and audio feedback was ineffective in providing meaningful "consequence" for bad waste habits. A big part of the recycling problem is ignorance. With effective educative methods, people can reshape their waste management habits so that proper disposal becomes automatic. A behavior changing educational solution needs a longitudinal study, which might be beyond a 10-week project. 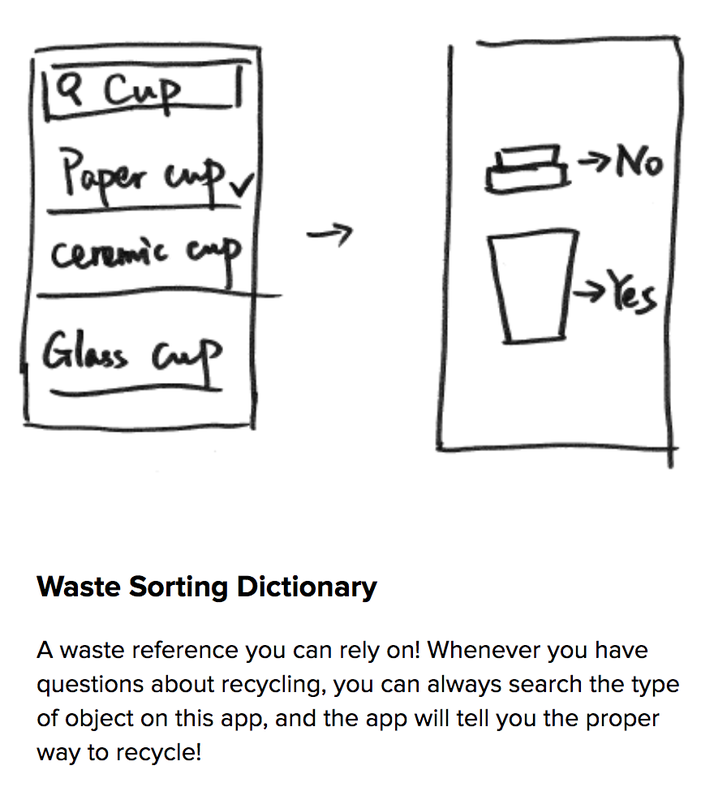 Gamifying the experience of classifying different wastes can make such behavior more desirable to users. Meanwhile, users can remember important knowledge by repeating certain classifications in games. Waste sorting itself is not absorbing. A user might lose interest in a realtime strategy game if waste sorting is the only narrative. Users don't need extra efforts reshaping habits and can remain their current behavioral mode. This would need a lot of technical design in terms of how machine identifies each object and classify them. The automation design might be beyond the scope of interaction design (our capacity). Incorrect disposal of waste is performed at an unconscious, automatic level. Once the mental model of how to dispose of a certain waste is fixed, adults have a hard time remediating such behavior. We examined our design concepts based on the principles of desirability, feasibility and viability and asked the following questions: How can we make waste sorting more interesting? How can we make our solution more accessible? How can we keep solution sustainable in the long run? In response to these questions, we reorganized our design objectives and decided to throw away previous prototypes and pivot to more susceptible audience: children. In the storyboard I drafted, this virtual pet only eats recyclable items scanned from the real life. I drafted and revised the comprehensive diagram and the wireframe diagram with my teammate Gabriel. 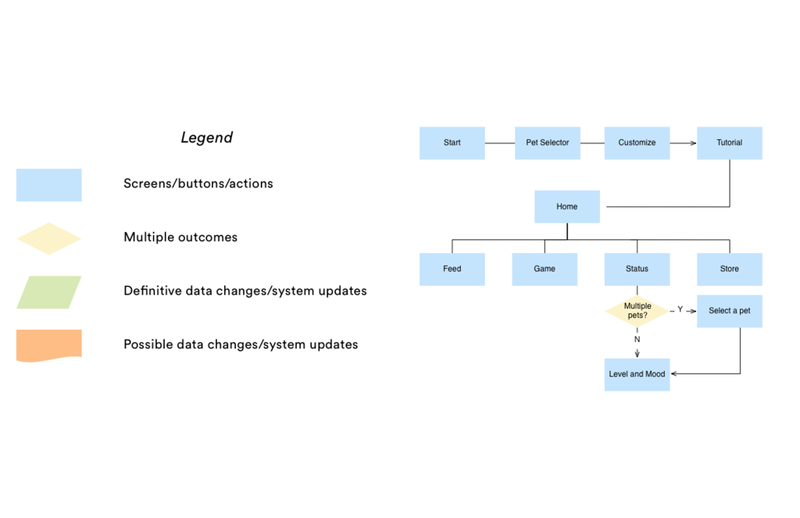 The purpose of the diagram is to have an overview of the entire game system and decide major 3 flows to prototype. We decided to wireframe and prototype the following: Onboarding, Feeding, and Shopping Customizable Items. I delivered part of the early lo-fi prototypes and iterated the UI with my teammate Derrick. I delivered and redlined the final UI with Derrick. After we agreed upon style decisions, we created a style guide for our UI system. I used Principle to create a digital mock-up and made the video as shown at the beginning. We focused on the 3 hero flows of Riko: Onboarding, Feeding, Store (shown below). 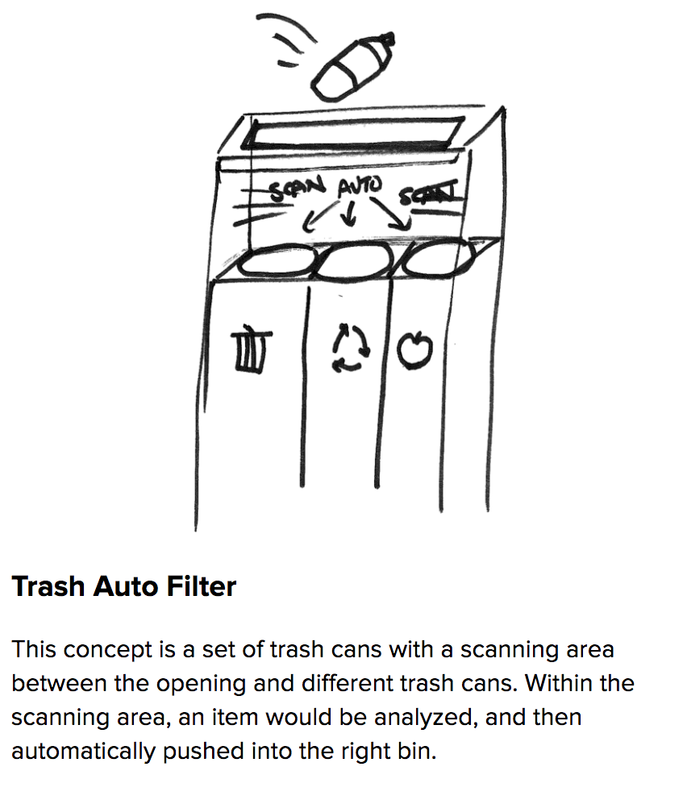 Problem 1: How should we inform correct/incorrect waste sorting to kids? This game should provide some form of feedback when the user feeds the pet correctly/incorrectly. We should also be engaging without hurting young kids. The character should not die but would just provide visual feedback when it's not properly fed. If the mood is too low, all menus will be locked except for "FEED." After browsing some games for young kids in App Store, I suggested designing a character expressing different emotions in response to scanned objects. I designed the character Piggy and its different status by Illustrator. Problem 2: How can we engage young kids for a longer period of time? Our solution is progression scheme. We introduced Mood Bar, Levels to gain kids' attention until they've practiced waste sorting long enough to form a mental model. 1) When the pet is correctly fed with recyclable items or the user choose to put unrecyclable items in landfill, the user will gain Experience until level up. Feed sidebar shows up with a camera feed allowing kids to scan items they find around the household. In this scenario, the user is scanning a banana peel. In this flow, the banana peel is unrecyclable and the pet gives a negative reaction. Camera picks up on the the coke can and creates an outline, analyzing the banana peel’s graphics. Once this outline is locked in, the image recognition technology will indicate what the object is in the next screen. Since the user drags the unrecyclable item into the trash can rather than the pet, the mood bar does not change and the level bar increases behind. The user is able to drag the scanned item from the "inventory" area into either the pet or trash can that allows users to throw away unrecyclable items. 2) To enhance the level system, we introduce Mini Games, Recycle Coins, and customizable items. Once certain level is reached, the user can unlock Mini Game and earn Recycle Coins to purchase customizable items. The store displays items users can buy with “Recycle Coins” gained from "GAMES", which are unlocked until certain levels. This is the first thing the user would see upon opening the application. In this flow, the user taps "STORE" to buy items. After the user confirms to purchase an item, Recycle coins decrease by the item's price and an overlay appears above the purchased item. An item can only be bought for once. A window pops up to confirm whether the user wants to place the purchased item into the pet’s environment. After the user selects an item by tapping, a confirmation window pops up. The user drags the item to a desired location and taps "Done" to return to "STORE." After the user taps an item, they can see possible locations that the item can be dragged to. The ideation process is never a clear-cut structure, things happen, ideas change and its important to not be too in love with an idea. Though we were passionate about our initial paper prototypes, we were able to analyze why they did not work on the tested users and redefine our design problems with solid design solutions. During iterations, we modified based on the testing of the interaction flow with adults rather than kids. If we had more time and resources, we should have tested our prototype on kids (5-8 year). I'm especially interested in how kids of this age would pick up new knowledge in digital games and apply the knowledge in real life - would they question the setting of the story (the digital pet only eats recyclables)? How would they behave in a longer period of time? 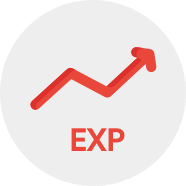 However, a more thorough testing would require the implementation of experience system, which is beyond our current capacity.